Participated in the Technion Excellence Program: 2011– 2013. 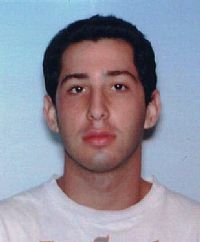 During his military service, Noam studied at the Open University, taking courses in computer science. In 2010 he joined the Technion. After graduating, Noam worked at IBM in the fields of Static Analysis and Anomaly Detection. Later, he joined a company working on Bitcoin and Blockchain. Recommendation to Program participants: "Use the time to take part in a research project in a lab that you find interesting. It is a great opportunity to explore the world of research, and gain experience which will serve you well in your career, whether it is in the academia or elsewhere". Today (2018): Works in the field of credit risk scoring. Noam also works on independent projects, including mobile games (for example: www.spacegecko.net).